Day 54. 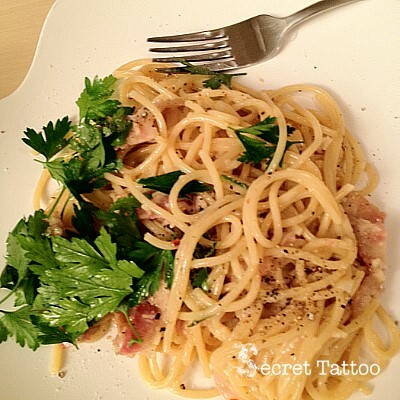 Pasta alla Carbonara | April, Go For It! J cooked Pasta alla Carbonara today. When I met him for the first time, he said that he loves to cook. Because all the men I dated in Seattle said the same thing. But to my surprise, he turned out to be a great cook! I love his sense of adventure and creativity in food. And that spices up our daily life!